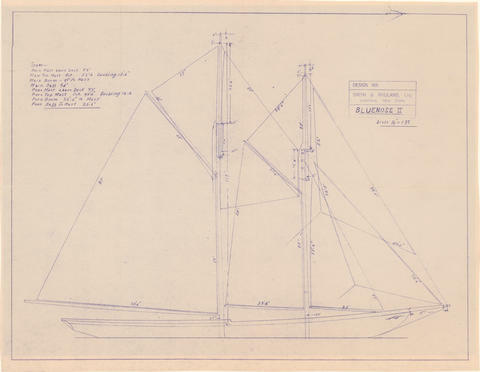 Item is a drawing of the Bluenose II in full sail, with measurements for all of the sails. The drawing also includes notes about the measurements for the masts, boom, and other components. The drawing was prepared by Smith & Rhuland Ltd. of Lunenburg, Nova Scotia.